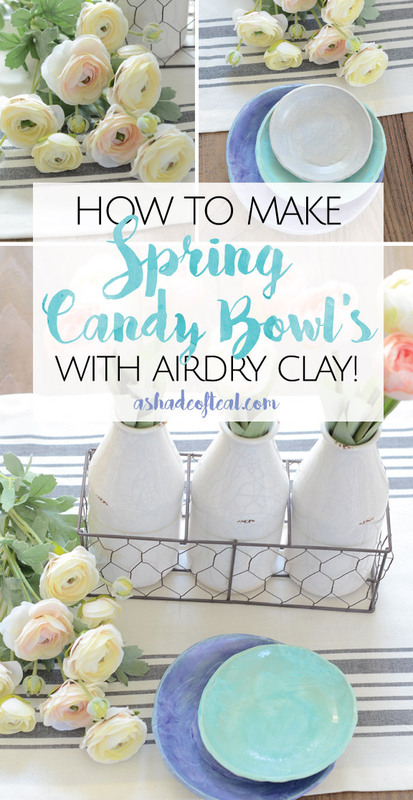 How to make Spring Candy Bowls with Clay! I have Spring on my mind! The sun is shining in CA and my home is slowly starting to look like my favorite season, Spring. When I initially start decorating for Spring I always think of Easter. 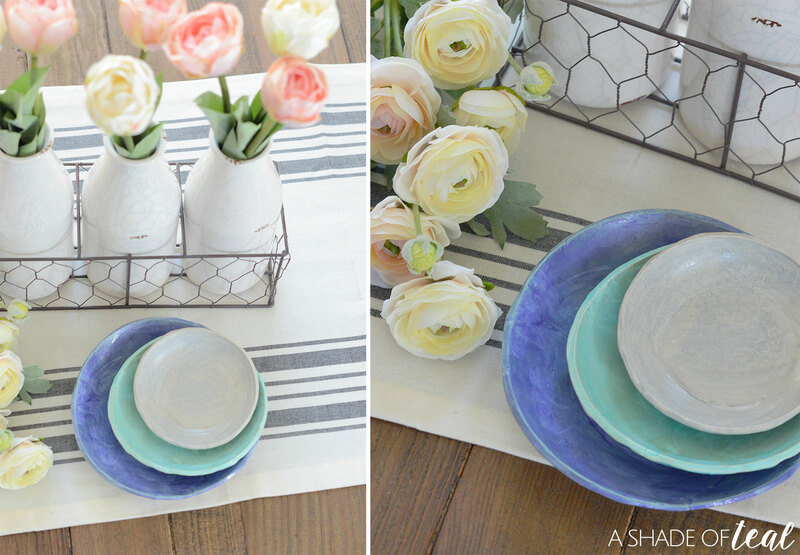 This year I wanted to make some custom Easter decor that suits my decor style, and what better way than with Air dry clay! I was recently at Sam’s Club and became inspired since they already have all their Spring & Easter items out. 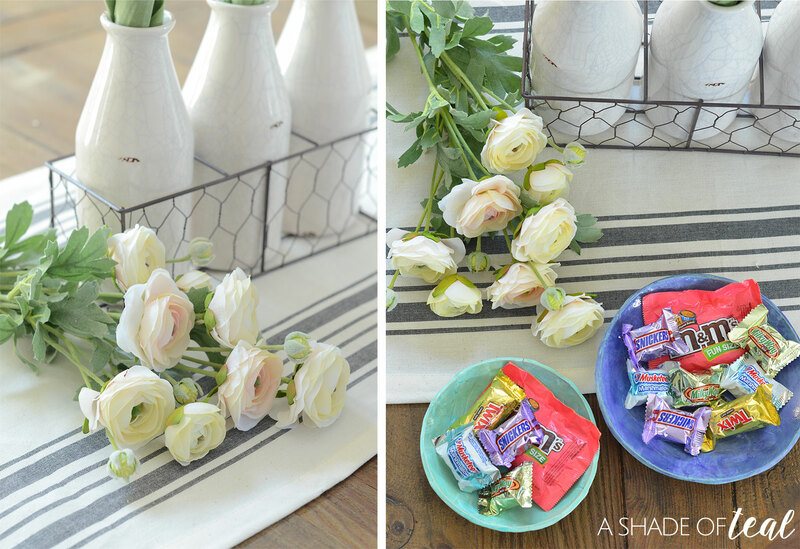 While there I picked up a bag of the MARS® Mixed Mini Bags and knew exactly what I would make, a Clay Candy Bowl! Of course I ended up picking up a bunch of other Easter items; Sam’s Club has become my Easter shopping destination! They’re the perfect place to shop early and stock up for spring. An ongoing family Easter tradition at my home has been “The Treasured Candy bowl”. It’s a staple and a must to have candy out for the holiday. I’m not sure why, but if the candy is missing I’m taking note! However, I typically would use a regular kitchen bowl to hold my candy, nothing fancy and nothing special. This year a regular bowl just won’t do, so making a custom bowl is the perfect fix. I hope my new clay candy bowls will continue our family tradition for years to come. If you saw my project yesterday (here), then you know I like to work with clay. 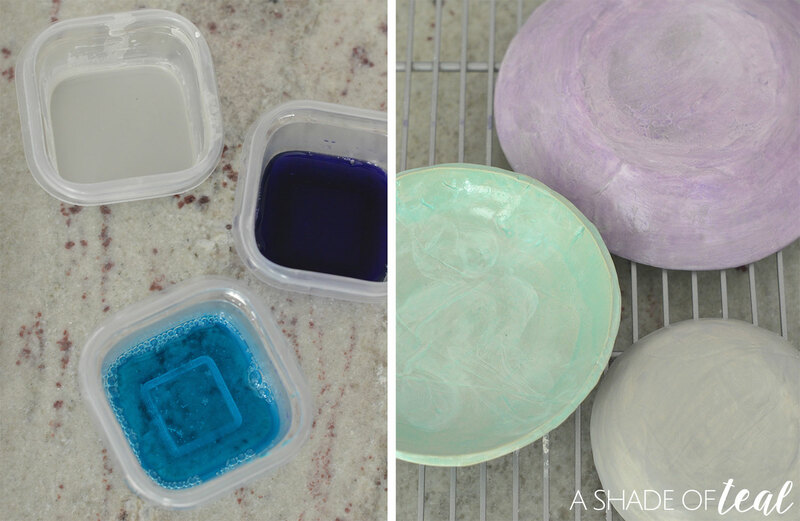 Some projects are easier than others, but making these clay candy bowls was more challenging than planned. To get started you’ll need the following. Candy! 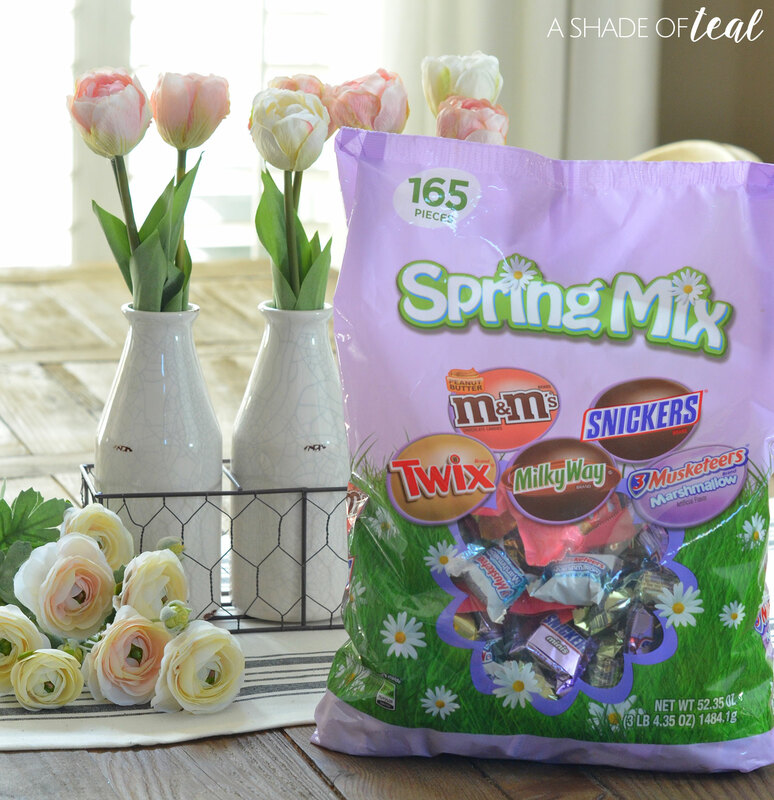 Lots and lots of candy, specifically the MARS® Mixed Mini Bags from Sam’s Club. Step 2: start forming the clay into a round ball. Step 3: roll out your clay on wax paper, I made mine about 1/4″ thick. Step 4: find a stamp and ink you like. 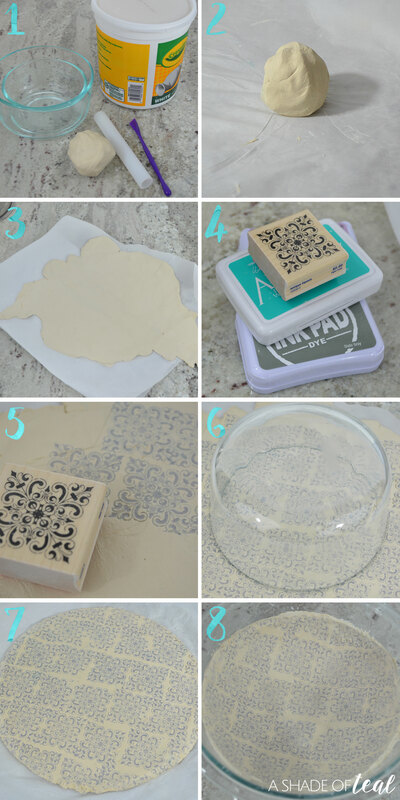 Step 5: stamp the clay if you plan on adding a detail. Step 6: use a bowl and cut along the edge. Don’t try to press the bowl down like a cookie cutter because the clay will get stuck to the bowl. Step 7: clean up the edges of the clay with water and a clay tool or kitchen knife. Step 8: place the clay inside a bowl to take shape, or you can place it over a bowl. You might have to re-work the clay a little to take shape, but water helps a lot with this part! Let the clay dry over night. Then the next day remove it from the bowl and let dry another day or so till the clay turns white. Now, as I mentioned above not everything goes as planned! Round 1: my first attempt was pretty much a fail! After cutting the clay I never cleaned up the edges, plus once it dried a piece entirely broke off. Round 2: so I tried again, this time making sure the bowls were almost perfect before I allowed them to dry. This was a huge improvement, but unfortunately a day into drying it started to crack. So when I removed the bowl from the glass bowl I decided to patch and fix the bowl with more clay and water. Once completely dry, everything looked good! Finally!!! Next step is to glaze and color the bowls. This is optional but I wanted to add some color since the stamping process didn’t turn out as well. To make the glaze combine 50/50 water and clear craft glue. Then you can add acrylic paint for a solid finish, or food coloring for an opaque finish. Apply several coats and allow to dry in-between each coat. 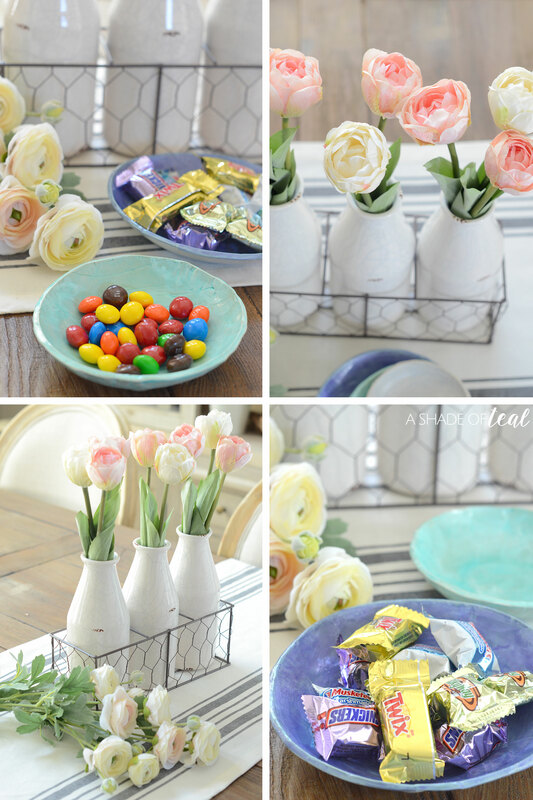 Aren’t they the cutest Spring candy bowls, perfect to store Easter candy! I don’t know if I’m more excited about the bowls or the candy! Each bag of the MARS® Mixed Mini Bags comes with 165 pieces in a variety of M&M’S®, TWIX®, SNICKERS®, MILKY WAY®, and 3 MUSKETEERS ®. Best of all it comes with Peanut Butter M&M’S®, my absolute favorite! 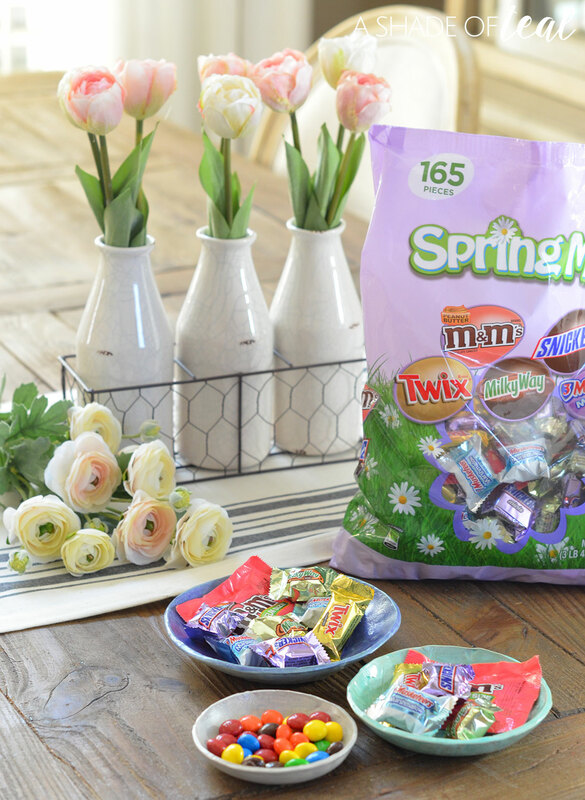 So start prepping for Spring and Easter with Sam’s Club & MARS®! Do you have any special Easter decor? 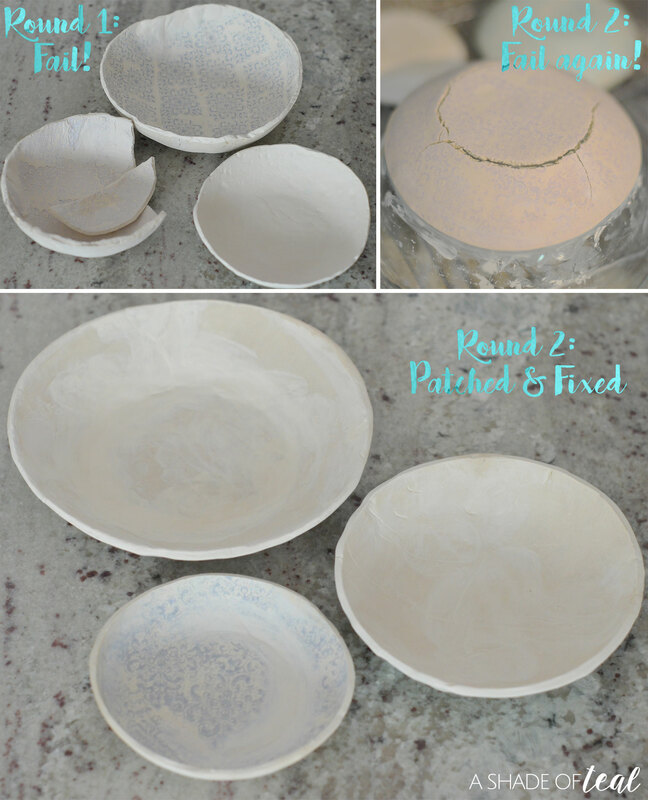 Or have you ever tried making clay bowls? I would love to know if you found them easy or hard to make. Let me know in the comments. Get Ready for Spring with new Plants! Modern Farmhouse Neutral Fall Decor, all from Target! How to Make a Gold Magnolia Wreath! Thanks Julie! They’re from JoAnn’s. 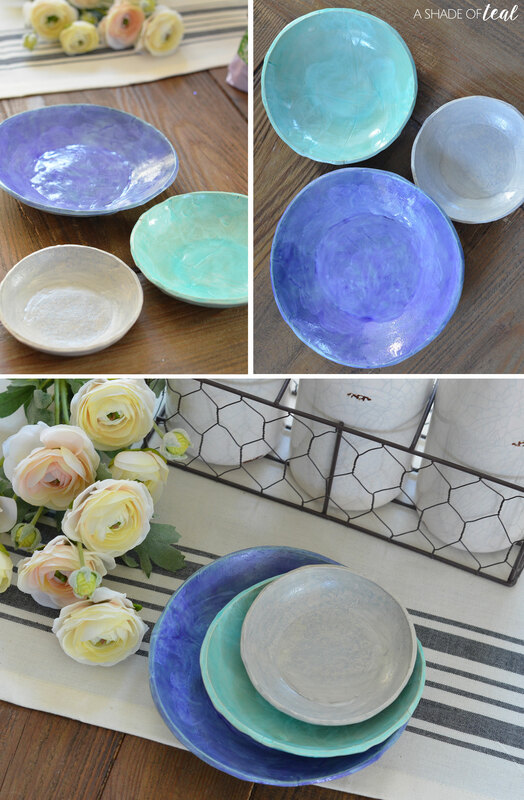 Love the colors of these bowls. This would be a fun project to make. How cool! I need to try and make these. Plus I love the candy 😉 So it’ll be nice to have something to hold it in. Thanks Amber! The candy is delish! The bowls came out looking amazing! I love the pastel shades you picked. I think even I could make these! You are one great mom. I mean, look at all the effort you put in to make these beautiful candy bowls! I wish I was as crafty as you. These clay bowls are amazing! Thanks so much Annemarie! Your too kind! Spring is one of my favorite season. I like the post, it will be fun and something different to make candy bowls with clay. I have made some while i was in school. Will try this again for sure. Love the post. I never thought that there could be an easy way to make a bowl. That clay bowl can be done by kids and I know they’ll enjoy it. Very true Sarah! My daughter loves using clay. What a fun thing to make! I love how it’s unique to one’s style. Thank you for sharing how to make these bowls. I think I will make this a weekend project with my husband and son! They turned out really well. I love the colors that you picked out too. It may have taken you a couple of tries but they sure are worth it. Thanks Elizabeth! It definitely was worth it! This is so fun to make! I love the color of your bowls! Will make this soon with my family. Thanks Chei! Good luck making them! This is SO pretty! I love the handmade look of it and the pretty colors, what a lovely spring craft! What an adorable project! I had no idea you could even make things like this with air dry clay! You have totally got my creative juices flowing with this one! Thanks Erin! Air dry clay is pretty amazing! This is a really neat idea. I love what you did with these bowls. I think they would go great for Easter. Thanks Kathy, perfect for Easter! These really are the cutest and I would have never believed if you told me they were handmade at home. Love the colors too. My goodness, they are so pretty!